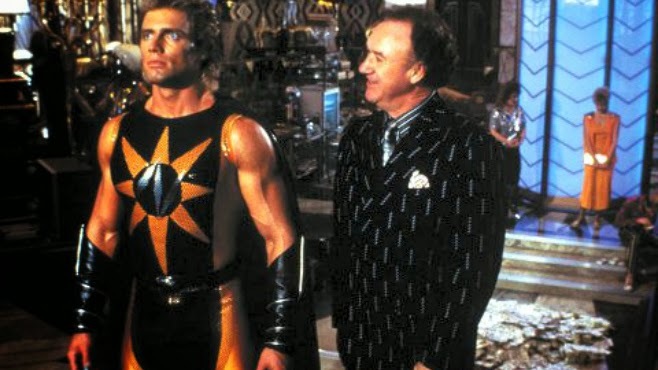 Today, I am going to take a look at one of the least beloved superhero movies: Cannon’s Superman IV: The Quest For Peace. The Man of Steel crusades for nuclear disarmament and meets Lex Luthor’s latest creation, Nuclear Man. The screenplay credits for Superman IV were given to the duo of Lawrence Konner and Mark Rosenthal, who wrote Star Trek VI: The Undiscovered Country, Tim Burton’s Planet of the Apes, Mercury Rising, the film adaptation of The Beverly Hillbillies, and the remake of Mighty Joe Young. Christopher Reeve, the star of the film, received a story credit for his input. Superman IV was directed by Sidney J. Furie, who is best known for his work on the Iron Eagle franchise (Iron Eagle, Iron Eagle II, and Iron Eagle IV), and the Rodney Dangerfield comedy Ladybugs. The central cast of the film is made up by Christopher Reeve (Superman, Village of the Damned), Gene Hackman (The French Connection, Unforgiven, The Quick and The Dead), Jon Cryer (Pretty in Pink, Hot Shots! ), and Margot Kidder (Superman, Black Christmas, The Amityville Horror). The cinematographer for Superman IV was Ernest Day, who shot the movies Parents, A Passage To India, and and Revenge of The Pink Panther. The editor for the film was John Shirley, whose credits include Live and Let Die, The Man With The Golden Gun, Chitty Chitty Bang Bang, and King Solomon’s Mines. The music for Superman IV was provided by Alexander Courage, who most famously composed the music for the original series of Star Trek. He also worked on television shows like The Waltons, Lost In Space, and Voyage to the Bottom of the Sea. Superman IV was produced by the infamous duo behind Cannon films, Menahem Golan and Yoram Globus. They managed to dominate the 1980s with all variety of cheesy movies: brutal cop flicks, ninja adventures, wacky musicals, and, as their reign came to an end, they sought to move into the realm of comic book heroes. 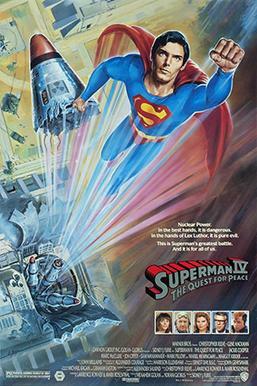 Had Superman IV been more profitable, the proceeds would likely have been turned around into a Spider-Man feature, which the group had the rights to make until 1990. However, it did not come to pass. I haven’t been able to find the original source, but it is said that star Christopher Reeve deeply regretted making Superman IV, and later referred to it as a “catastrophe,” and that it was a “huge blow” to his career. That was an absolutely heartbreaking experience for me, because I had loved the Richard Donner Superman like nobody’s business…Superman IV was to resurrect the franchise. They had new producers, and Golan-Globus had…made a great deal of money with their Cannon films, and this was their bid for respectability. They were gonna reboot the franchise, and resurrect it for everybody after the debacle that was Superman III. Little did we know that we were actually going to be working on the debacle to end all debacles. Prior to Sidney Furie taking on the directing duties, the job was offered to both horror master Wes Craven and original Superman director Richard Donner. While Donner outright refused the offer, Craven was apparently on board for a while: at least, until clashes with Reeve drove him away. At the very last minute before production, the budget for the film was slashed from $36 million to $17 million. This was due to financial issues that beginning to plague Cannon films, and would be exacerbated with the film’s failure. This limitation is also why so much footage is reused in the film: they had to cut corners wherever possible. Despite that trimmed down budget, the movie failed to cover its costs anyway, bringing in just $15.6 million in its lifetime theatrical gross. Currently, Superman IV has an IMDb user rating of 3.6/10, along with Rotten Tomatoes scores of 12% from critics and 16% from audiences. The film has the distinct dishonor of being one of the most widely reviled super hero films to ever hit the screen. 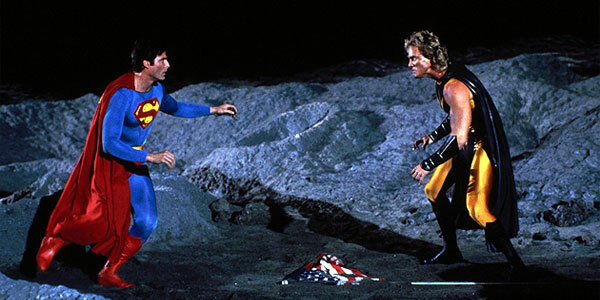 The biggest problem with Superman IV, if you ask me, is ultimately the budget. It just looks cheap, particularly in comparison to earlier films in the franchise, and that was all it was going to take to get people to hate it. It is easy to point the blame at the goofy style of Cannon films, or the director not having the experience to handle this kind of production, or the screenplay being sub-par, but in this case, I think the first and biggest thing they needed was more money. If the effects looked better and the repeated footage was excised, I think the result would have been almost satisfactory. Or, at least, it would have had a fighting chance. That isn’t even getting into the possibility of paying for a rewrite, or extra shooting, or just having someone edit the film who wasn’t half-asleep, or even paying a better director. I think if they even had that initial $36 million, this might have turned out ok.
Here’s something I have to be upfront about: to be honest, I have never gotten the appeal of the series or the character of Superman: I’ve always thought Superman was pretty dull, and was hard to relate to. He has always seemed a little too perfect, and his weakness a little too goofy, and his powers a little too all-encompassing. He never seemed to really have challenges. It hasn’t been until recently that I’ve started reconsidering this, but I’m definitely not won over yet: particularly not by the Christopher Reeve incarnation. So, I suppose I am not primed to enjoy the Superman film franchise to start with, which isn’t going to do the worst sequel any favors. As far as the performances go, I pretty much just think Christopher Reeve is awful in all of these movies. If you liked him in the others, he is probably fine here: this may just be a “me” thing. On the other end of the spectrum, Gene “Makes Welcome To Mooseport Almost Watchable” Hackman is wonderful, as always, despite not having a whole lot to do. However, his sequences are almost all ruined by the presence of 2/5 of Two and A Half Men Jon Cryer, whose comic relief stylings are about as grating as you can imagine. One of the weirdest decisions about Superman IV was to have Gene Hackman record the voice for the villainous Nuclear Man, and dub it over the actual actor. Even though they kept his dialogue pretty sparse, every time he does say something, it is a jarring, weird experience. Even if the guy was heavily accented, surely there was another possible solution for this? Overall, I do think there is something charming about Superman IV, as I do with most Cannon films. The cheapness, the goofiness, and transparent ineptitude all coalesce into a pretty enjoyable end product. Even though I think the cut down to 90 minutes for the theatrical release hurt the movie in a traditional sense, I think it also makes it a little more fun as a bad movie watch: you can definitely get in and out of it quickly without much trudging. As far as a recommendation goes, this is one of my lighter Cannon films recommendations. Honestly, I think that is because they were trying so hard to make a proper, respectable blockbuster. 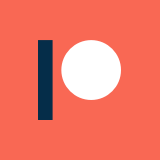 Still, it is quite a bit of fun if you go in knowing what you are going to get.